By Justin M. Jacobson, Esq. We will now examine the music publisher and its exclusive publishing agreement with a songwriter. In addition to the standard exclusive publishing agreement explored below, there are other types of related agreements a songwriter could potentially sign with a music publisher, including a co-publishing, sub-publishing, or administration arrangement; however, these will not be explored in this article. Music publishers, which include Sony/ATV Publishing, Universal Music Publishing, and Warner Music Publishing, are companies that manage a songwriter’s rights in a track. This may be typically referred to as an “administration” right in the composition. This provides the publisher with the right to license the music to others, as well as to collect payments from any third party for their uses of the songwriter’s work. In most instances, the songwriter and publishing company equally split all of the proverbial “publishing monies.” In reality, this means that fifty (50%) percent of the total amount earned is allotted for the “writer’s share” of the composition, and the remaining fifty (50%) percent is allocated for the “publisher share” of the composition. Since a single track can have several co-writers, this means that several publishing companies and other individuals may also be entitled to a part of the “writer” or “publisher” share of the track. For instance, if a song has two co-writers, the “writer’s share” of the composition could be split equally with each writer receiving fifty (50%) percent of the entire track’s “writer” share. The streams of income generally subject to an exclusive publishing agreement include mechanical royalties, public performance royalties, synchronization fees, and print incomes. Mechanical royalties are paid for the use of a musical composition on CDs, vinyl, cassettes, and as MP3 downloads. In the United States, the Harry Fox Agency is generally responsible for collecting and distributing mechanical royalties. Print income is also subject to these agreements and applies to any funds earned from the sale of the printed musical work, such as in lyric and musical score folios, individual sheet music, and when the same is displayed or sold as sheet music on the Internet. Public performance royalties are also subject to a publishing agreement. This income is due when a musical composition is publicly performed, including when it is played on the radio, at a nightclub, a concert hall, or a stadium. These funds are collected by performing rights organizations. In the United States, the PROs are ASCAP, BMI, and SESAC. A songwriter must become a member of a PRO in order to receive their public performance royalties. Additionally, each country has their own PRO, so a foreign citizen should become a member of the organization in their country of citizenship. + Learn more on Soundfly: Here’s a video that we made with DIY music biz guru Ari Herstand further explaining songwriter royalties. It’s taken from our free course, How to Get All the Royalties You Never Knew Existed. Sign up for free access to the full course content. Finally, synchronization income, referred to as “sync” monies, are subject to the same publishing deal. This income is paid when a composition is displayed with a visual image, such as in a motion picture, in a television program, in a music video, or in a video game. There is income here that may also be collected by the owner’s respective PRO. As is standard with most exclusive recording agreements, the deal is usually cross-collateralized with any other agreements between the same parties. Again, this means that any advance and any other funds expended on behalf of the writer, whether under a recording contract or a publishing contract, are recouped against any royalties earned from either agreement. If possible, it is prudent to limit or prevent the cross-collateralization of the agreements; however, most companies will not permit this. In addition, some publishing companies attempt to cross-collateralize the royalties earned by one co-writer in a composition with that of any other co-writers of the same track. This permits the publisher to credit any royalties earned by any co-writer of a composition toward the outstanding royalty balance of any other co-writers of a song, even if they are not attributable to this particular co-written song. It is prudent to ensure that each writer’s royalty account is not cross-collateralized with any other co-writers of a track by ensuring that only tracks written by one writer are credited toward that writer’s outstanding balance without permitting the cross-collateralization of accounts with any other co-writers. Another point to be aware of is that an artist should try to ensure that if they are signed to both a recording and publishing agreement with the company, and if the company wants to extend one of the deals, the other deal is also not automatically extended. This prevents the artist from being dropped from the label while still being signed to the publishing company. One final matter that should be addressed in this arrangement is the songwriter’s creative control and approval for the uses of its compositions. In particular, a writer should try to include a limitation on the types of works that their composition can be licensed to or included in. For instance, a “kid-friendly” pop star may not want their composition featured in a commercial that contains drug, alcohol, or tobacco use, features sexual content, or violence. In addition, an artist should have a right to approve any changes to their finished music. This includes ensuring that any song or lyric alterations conform to the artist’s “mood” or “style” of music. For example, a publisher should not be able to take a dance track created by a dance artist and edit it so that it is now a heavy metal record. SERVICES – During the Term, Writer shall furnish to Publisher, Writer’s exclusive services as a songwriter and composer and shall deliver to Publisher, for exclusive exploitation hereunder, all of Writer’s interest in and to all of the Compositions. As described above, the publishing agreement usually signs the writer to an exclusive agreement for their publishing rights in all of their Compositions. This means that the agreement applies to any existing compositions that the writer has created and owns, as well as any new material they create or acquire during the term of this agreement. It may be advisable to attempt to exclude certain existing tracks from the agreement in an effort to prevent the publisher from receiving income from those compositions. This is especially true, if those tracks are already under a prior exclusive publishing deal. This is not the easiest goal to achieve, as most of the time, the artist is only receiving the publishing deal due to an interest in all of their existing material, as well as any new material they create going forward. GRANT OF RIGHTS – (a) Writer hereby irrevocably assigns and grants to Publisher and its successors, all rights and interests of every kind and nature in and to the results of Writer’s songwriting and composing services, including, the Compositions, the copyrights therein and any and all renewals and/or extensions thereof throughout the Territory, all for the full term of copyright protection and all extensions and renewals thereof throughout the Territory. (i) To perform the Compositions publicly, by means of public or private performance, radio broadcasting, television, or any and all other means, whether now known or which may hereafter come into existence. (ii) To substitute a new title or titles for the Compositions, and to make any adaptation or translation of the Compositions, in whole or in part, and to add new music or lyrics to the music of any Composition. (iii) To make and to license others to make, master records, tapes, compact discs, and any other mechanical or other reproductions of the Compositions, including the right to synchronize the same with sound motion pictures, radio broadcast, television, tapes, compact discs and any and all other means or devices, whether now known or which may hereafter come into existence. (iv) To print, publish and sell, and to license others to print, publish and sell, sheet music, orchestrations, arrangements, including, without limitation, the inclusion of any or all of the Compositions in song folios, song books or lyric magazines. (v) To collect all monies earned during the Term with respect to the Compositions. The above language explores the various rights granted to the publisher by the songwriter in the agreement. The clause affords the publisher the exclusive right to administer one hundred (100%) percent of the song’s publishing. Under this provision, the publisher has the right to license the work for inclusions on CDs, as MP3 downloads, and as sheet music. They also have the right to collect all the monies earned on the contracted for compositions. Additionally, the publisher has the right to license the work on the radio, on television, in motion pictures, and by “. . . all other means or devices, whether now known or which may hereafter come into existence.” This language permits the publisher to apply its current publishing deal to any new technology or means of distributing music that may come into existence at a later date. Furthermore, the publisher is granted the right to translate into another language, as well as add new lyrics to any composition created by the songwriter. (a) Mechanical Income – fifty percent (50%) of Publisher’s Net Receipts derived from the license of the Compositions. (b) Synchronization Income – fifty percent (50%) of Publisher’s Net Receipts derived from the license of the Compositions for use in commercials and synchronized in audiovisual works. (c) Print Income – fifty percent (50%) of Publisher’s Net Receipts derived from the licensing of the right to print, publish or sell printed editions or other printed reproductions of the Compositions. As the paragraph heading states, the above language describes the royalty rate that the writer earns. It is important to note that similar to most agreements in the music industry, the music publisher must first recoup “any and all monies” already paid to the writer, such as advances or other costs or expenses incurred on behalf of the songwriter, prior to the songwriter earning any of the above listed royalties. This means that until the writer’s account is balanced, they will receive no additional funds from the publisher. However, once the songwriter recoups the outstanding balance, they will begin to earn royalties based on the above listed percentages. For instance, under the above language, the writer is entitled to fifty percent (50%) of the “mechanical income” (CDs, downloads), fifty percent (50%) of the “sync income” (song used in motion picture or television show), and fifty percent (50%) of the print income (printed or digital sheet music). The listed percentages are fairly standard and are applicable to most exclusive publishing deals. Nevertheless, it is prudent to at least attempt to negotiate for higher percentages or better provisions; ultimately, the publisher may not agree to any increase. Writer warrants he is a writer member and publishing member in good standing of ASCAP, BMI or SESAC. In the event that Writer is in breach of Writer’s warranty of being a member in good standing of ASCAP, BMI or SESAC, Writer hereby warrants he will become a member in good standing of ASCAP, BMI or SESAC. In addition to the above listed clauses, most standard publishing deals require the songwriter to be a member in good standing with their respective country’s PRO. This is typically due to the publisher requiring the PRO’s assistance in collecting the public performance royalties due for the licensing of compositions. If a writer is not in good standing or is not a member of a PRO at all, it could potentially cause issues in the publisher receiving payments, which they want to avoid. The above language helps obviate the issue by requiring that the songwriter warrant they are in good standing with their PRO and will stay as such. OPTION TO PURCHASE – In the event that Writer desires to grant, sell, license or otherwise transfer any right, title or interest in or to any of the Compositions, for a period of thirty (30) days, Writer hereby agrees to negotiate in good faith exclusively with Publisher, and to exert best efforts to reach an agreement with Publisher for Publisher’s acquisition of such rights in and to the Compositions. In the event that Publisher and Writer fail to finalize the terms of such agreement by the end of the thirty (30) day period, then Writer shall thereafter be free to negotiate with any third party for the sale, license or other transfer of such rights, but only on terms and conditions that are no less favorable to Writer than those last offered by Publisher. Furthermore, if Writer receives an offer from a third-party at any time (the “Third Party Offer”) to purchase all or any portion of Writer’s interest in the Compositions, or any one of them, and Writer desires to sell such interest, Writer agrees to first offer in writing to sell such interest to Publisher (the “First Offer”). The First Offer must specify all of the terms and conditions of the Third Party Offer. In the event Publisher does not agree to match the First Offer within fifteen (15) days after Publisher’s receipt thereof, then Writer will have the right to accept the Third Party Offer. However, any sale to such third party must be consummated upon terms no less favorable to Publisher as those contained in the First Offer. If such sale is not so consummated, Writer will not sell all or any portion of Writer’s interest in the Composition(s) or any one of them without again offering such interest to Publisher as provided hereinabove. One way a publishing company ensures that they can potentially retain rights to lucrative materials after the expiration of the agreement is through a right of first refusal, or a “matching right.” As described above, a right of first refusal provides the publishing company with the option to purchase a composition and/or all of the compositions, if the writer is attempting to sell the rights to the material. This language provides the publisher with a proscribed time period (30 days) where the writer must present any third-party offer they receive for the material to the original publisher. The publisher then has a specified time period (15 days) to either match the third-party offer or to pass. If the publisher matches the offer, then a deal will be finalized on those terms; however, if the publisher fails to match the third-party offer, the writer is free to enter into a new arrangement with the third party on the same terms as those presented to the original publisher. The above specific language requires that the deal must be consummated no later than a specified period of time (15 days). If the deal with the third party is not finalized by the end of this time period, the original publisher has an additional opportunity to purchase the composition(s) for the same terms as those offered by the third party to the writer. Since publishing money is one of the most lucrative and consistent streams of income in the music business, and music publishers are the top facilitators of licensing in this space, it is prudent to fully understand how they function and the best way to approach them. Overall, most standard deals are negotiable and should be viewed as so. This article is not intended as legal advice, as an attorney specializing in the field should be consulted. Some of the clauses have been condensed and/or edited for content purposes, so none of these clauses should be used verbatim, nor do they act as any form of legal advice or counseling. 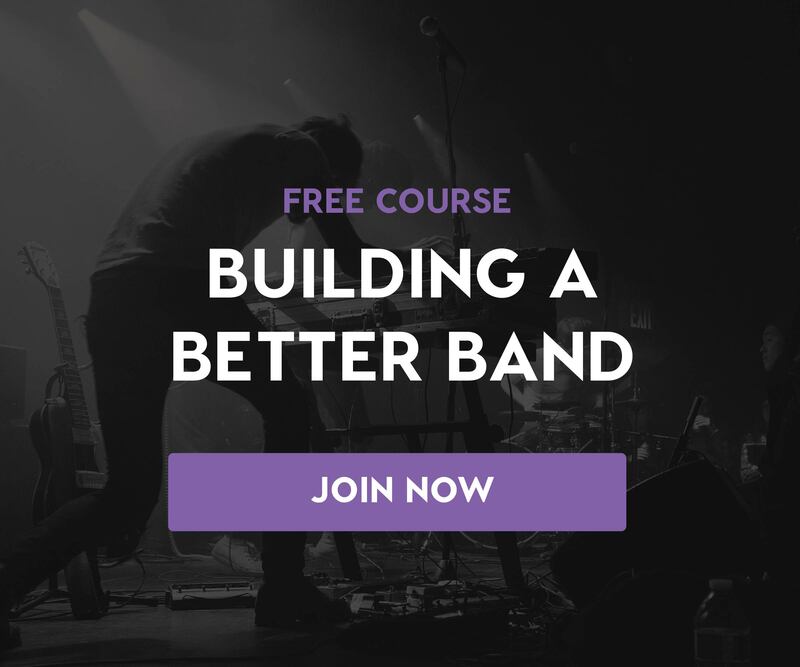 Learn more about how streaming and sales royalties really work and how to get the money you deserve in our free course with Ari Herstand, How to Get All the Royalties You Never Knew Existed, and read up on the differences between getting paid as an “artist” versus a “songwriter” here.